Guys, it's strawberry season in Oregon. 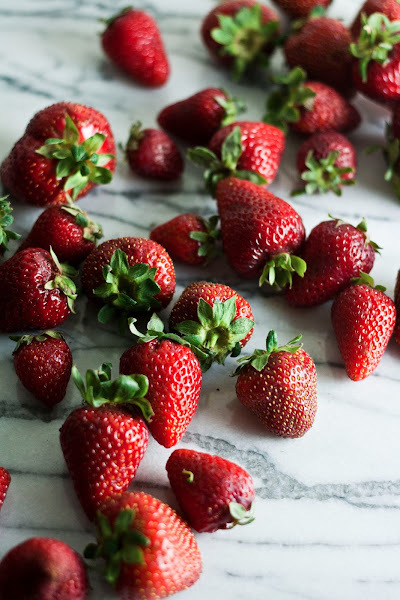 Strawberries have always been one of my comfort foods — which is a bit ironic because if I eat too many of them, I start to have a mild allergy attack. I wasn't always allergic to strawberries. The allergy was born four summers ago, during my first summer as a fresh college graduate. Back then, I was a bit of a wreck. Graduation seemed like it had loomed out of nowhere and thrust me into unemployment with nothing to offer but an incredibly academic (and faintly useless) degree from an esoteric college. To save money, I would buy pints upon pints of strawberries and simply eat an entire box for a meal, dipping the fruit in a combination of sour cream and brown sugar. My mouth soon interrupted into hives; my doctor explained that I'd given myself a strawberry allergy by consuming such large quantities over a short amount of time. Apparently that can happen, so, head's up. A few months later, I moved to San Francisco to start my first job that paid, unfortunately, what most first jobs out of college pay — barely above livable wage. To top it off, most of my income was going into my astronomically high rent and nothing else. Barely able to afford groceries, I found myself living off the cheap eats (read: nothing above $5) that San Francisco had to offer: $1 bacon-wrapped hot dogs from illegal carts on the middle of the street attracting a drunk crowd, $4 super-quesadillas from the sketchy Peruvian restaurant window around the corner from my apartment, and interestingly enough, $3 scoops of ice cream from Humphry Slocombe, the quirky ice cream parlor a few blocks away from my apartment. 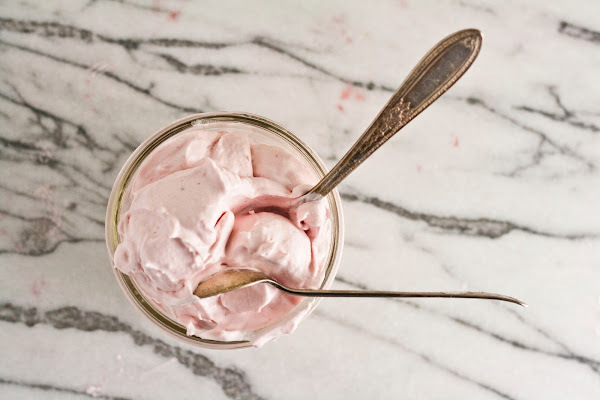 Although Humphry Slocombe is known for more exotic ice cream flavors like bacon, ancho chile and chocolate, brown butter, and olive oil, I remember that there was one day I walked in and found my favorite flavor: plain-old, no-fuss, strawberry ice cream. 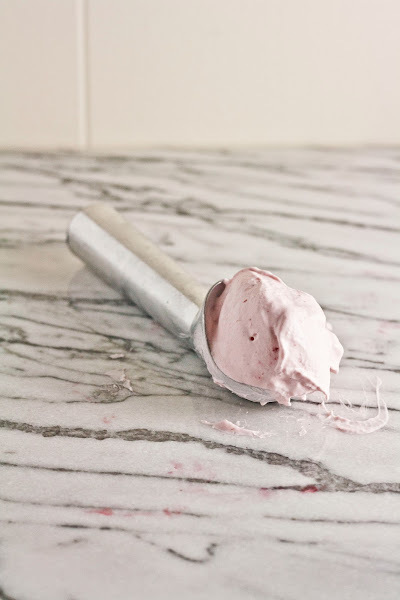 I treated myself to a scoop and was absolutely delighted — it was everything I wanted in my strawberry ice cream. Creamy, smooth, and unapologetically strawberry flavored, I was instantly hooked. I went back to the ice cream parlor several times for more, only to find that they never served plain old strawberry ice cream ever again. I mean, strawberry was always present, but in some other crazy combination like strawberry olive or strawberry ice cream with Szechuan spice. 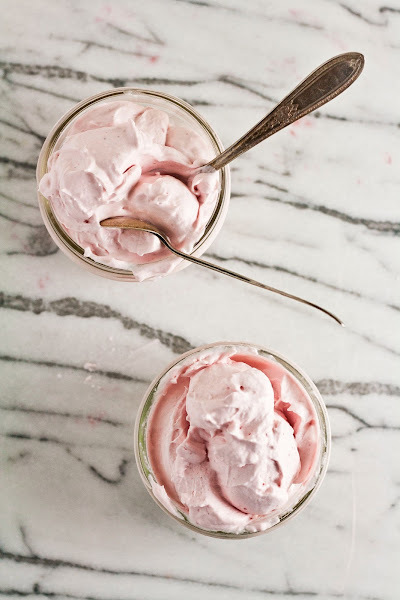 Later, when some friends of mine had given me the Humphry Slocombe Ice Cream Book as a present to commemorate my time in San Francisco, I flipped through the book only to land on a page with a recipe grumpily titled "Here's Your Damn Strawberry Ice Cream." I couldn't believe it — could this be the elusive classic strawberry ice cream that I had kept coming back for, without any success? Indeed, it was. The cookbook explained that they had only ever served plain old strawberry ice cream once in their shop's history, when the owners admitted that they had partied a little too hard the night before and were, well, hungover. I guess that was the day that I'd come in. 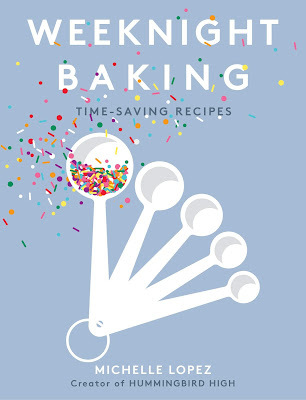 In any case, the book had given me the recipe for the best strawberry ice cream I've ever had in my life. I'm not good with ice creams — although I've made a few of them before, I'm awful with cooking custards and my previous attempts have come out either too soft or grainy. Hence the genius of this recipe and why I claim it's "no fuss": it involves absolutely no cooking. Simply whisk together some strawberry puree and a crap ton of cream and sugar, and voila! The best strawberry ice cream of my life — smooth, creamy, and unapologetically about the strawberries all the way. Also, this recipe has sweetened condensed milk. You all know how much I LOVE sweetened condensed milk. Strawberries are in season now, so be sure to use the best strawberries you can find. This ice cream is all about the strawberries. There's red wine vinegar in the recipe, which seems a little weird, but really isn't. That's there to help balance out the sweetness of the fruit; you can't taste it at all! According to the cookbook, working with fruit in ice cream is always a little bit tricky since fruit flavor can vary so much. Be sure to taste the ice cream before you throw it into your ice cream maker — if it needs a little bit more sugar, add a pinch more. If it's a little too sweet, throw in a splash of red wine vinegar (but not too much, or else, you know, you'll get vinegary ice cream). I used the quantities the ingredient suggested, and it worked out fine for me. This ice cream is best after it's been freshly spun, right out of the ice cream maker. The fluffy texture is really remarkable — like eating strawberry cream clouds. I always have a hard time storing ice creams after I've made them, finding my cheap Ikea tupperware to be too thin. My ice cream always inevitably ends up with some awful freezer burn. I found these insulated, reusable pint containers the other day to help prevent the freezer burn and I've been really pleased with the results so far. Place 1 pound fresh strawberries in your blender or food processor and process to a smooth puree. Strain into a medium bowl using a fine mesh strainer to remove the seeds (you can also leave it unstrained, but your strawberry ice cream won't be as smooth). 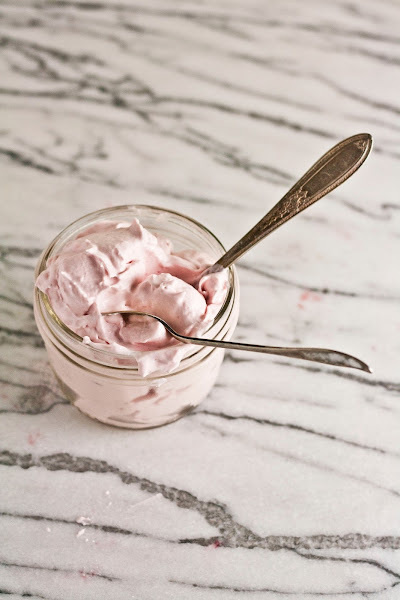 Once the strawberry puree has been strained into the bowl, add 2 cups heavy cream, 1/2 cup sweetened condensed milk, 3/4 cup granulated sugar, 2 teaspoons salt, and 1 tablespoon red wine vinegar and whisk together until the sugar has dissolved. Once the mixture is smooth, taste your ice cream batter — if it needs more sugar, add a pinch, if it's too sweet, add a splash of red wine vinegar. Once you're satisfied with the flavor of your ice cream, transfer the mixture to an ice cream maker and spin according to the manufacturer's instructions. The ice cream will be ready once it looks frozen and the ice cream has pulled away from the sides of the bowl. Eat immediately, or transfer into an airtight container and freeze for a few hours if you prefer a more frozen texture. I put some cream cheese in it too.....OMG! Yum! I will totally make this! First thing on a Monday morning, and I'm drooling for this ice-cream. Not the most pleasant image (the drooling part), but really and truly.... this looks and sounds Ah-maz-ing! Yum! This looks great! I didn't know you lived in SF. I moved there when I was 18 (on a part-time salary, while I attended school at the Art Institute) and experienced similar problems with food limitations. I think I survived on chocolate croissants, $1 Chinese food (yuck) and ramen. I didn't last there very long... I wish I had this ice cream recipe then! This ice cream looks SO creamy and delicious! I just got an ice cream maker and have been searching for more recipes to make...this is totally gonna get made next!!! I love strawberry season here in Michigan-- they're ridiculously tiny but they are the sweetest berries I have ever tasted! They run circles over the largest strawberries from Cali. 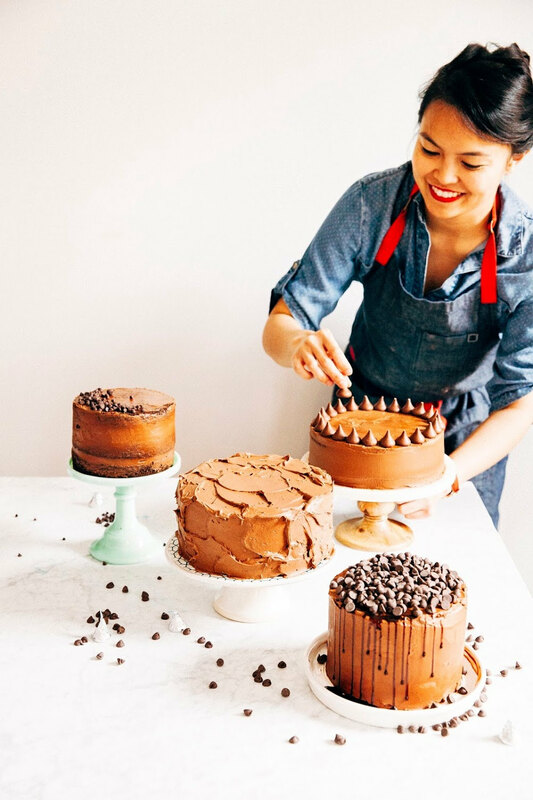 I loved this recipe so much I whipped up a batch and shared it on my blog! Thank you so much for the inspiration!